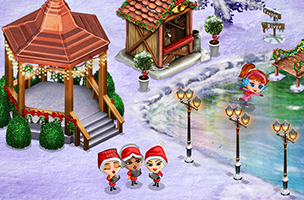 Zynga announced the closure of its life simulation game YoVille in January 2014, triggering an instant reaction from players, who begged Zynga to reconsider its decision. When closure announcements are made, they’re traditionally final. However, Zynga has listened to its fans, and has reversed its decision to close the game on March 31, as was originally planned. We want to thank you for your continued support of YoVille over the last 5 years. The outpouring of love you have showed for YoVille, and your dedication to the communities you have nurtured over the years in the game has inspired all of us at Zynga. As some of you might know, we’ve had ongoing discussions with Big Viking Games, the original creators of YoVille, about ways we can work together to help keep the YoVille community alive. We are continuing to have those conversations and explore the future of YoVille and, as a result, will not be shutting down the game as planned on March 31. We will have more updates to share with you soon, as our conversations with Big Viking Games progress and we determine next steps for the game, but we wanted to make sure you heard the news first as many of you have dedicated time over the last couple months to showing your support for YoVille and sharing your heartfelt stories about what the game means to you. Stay tuned for more on this story, or to follow YoVille on AppData, our tracking platform for mobile and social apps and developers.